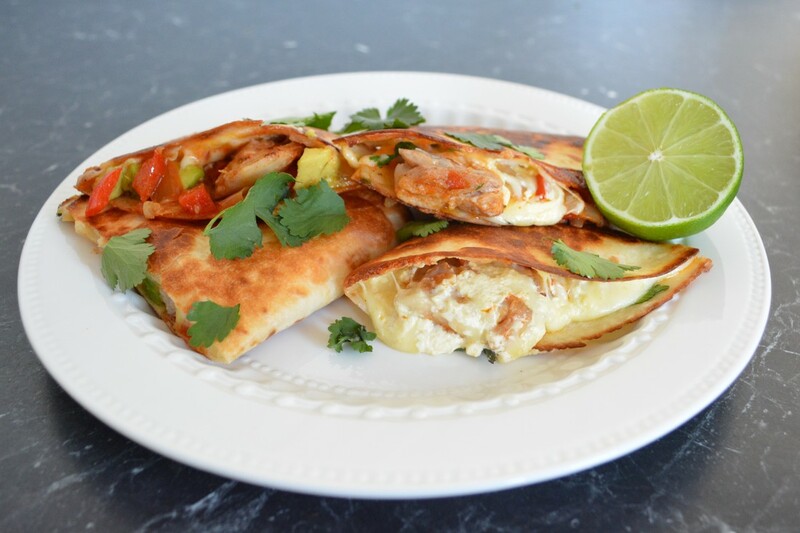 This is one tasty quesadilla and so easy to make. I could easily eat these weekly. Great school holiday cooking, great quick mid week meal. ​This week I made two dishes for the competition, this one and a Honey Mustard, Chicken, Bacon and Avocado Salad. I ended up using the salad for the competition, but this could have easily been the entry. 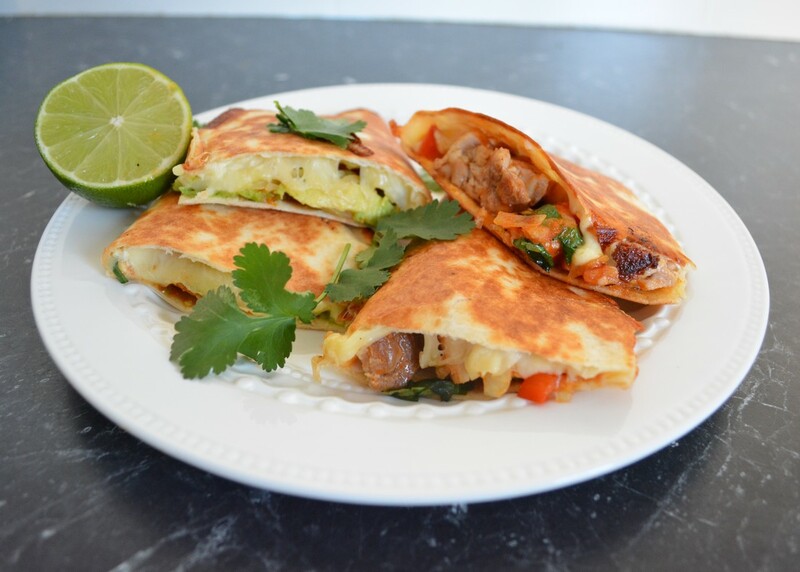 These quesadillas are perfect. I can't fault them. I use chicken thighs, but you can use chicken breast. I prefer taco seasoning to fajita, but my kids loved both spice mixes, so use whichever you like best. The packet ones are just fine. If you want to make your own fajita spice mix, the original recipe says to make it like this: Combine 1 teaspoon chilli powder, 1 teaspoon smoked paprika, 1 teaspoon salt, 1 teaspoon cumin, 1/2 teaspoon garlic powder and a 1/2 teaspoon black pepper. I haven't tried it, but I will soon. The original recipe says it makes 4 tortillas, I get 6 out of the mix, so you will make as many as the filling allows. I prefer them not over full. ​Another tip, if you don't want to fry them, you can make them in a sandwich press. It isn't quite the same, but it is still good. Heat a large frying pan over medium to high heat. Season the chicken thighs with salt and pepper. Place 1 tablespoon of olive oil in the pan. Add the chicken thighs and cook, covered, for 5-6 minutes per side or until cooked through. Remove from pan and set aside, until needed. In the same pan, add 1 tablespoon of olive oil, the diced onion, capsicum and garlic. Cook for 2-3 minutes or until softened. Add the tomatoes and the taco (or fajita) seasoning. Cook for 2 minutes or until the tomatoes are softened. Dice the cooked chicken and return to the pan. Stir until the mixture is fully combined. To assemble: Spread 1 teaspoon of sour cream over one side of each tortilla. To a medium-hot frying pan, add 1 teaspoon olive oil. Place two tortillas into the pan (you only need half of each tortilla in the base of the pan). Now working quickly, top half of each tortilla with cheese, avocado, chicken mixture, a squeeze of lime and chopped coriander. Now fold over the tortillas to cover the fillings, you get a half moon shape. Cook until the tortillas are crisp and golden and the cheese has melted, carefully flip it over, each side cooks for about 2-3 minutes. Once cooked, remove from pan and repeat with remaining tortillas. Cut the quesadillas into wedges. Serve immediately with lime wedges and salsa.